Royal Fisk was the founder and owner of the Fisk Hotel in Silver Mountain, California. It was later relocated to Markleeville, California, and renamed the Alpine Hotel and is now a U.S. national landmark. During the 1860s, Royal Fisk acted as a forwarding and shipping agent and corresponded closely with merchants from Victoria, BC, New Dungeness and Port Angeles, Washington, and Portland, Oregon, as well as throughout California and Montana Territory. Fonds consists of 947 letters, bills of exchange, and telegrams sent from Victoria-area merchants to Royal Fisk, a forwarding and shipping agent in San Francisco, during the Cariboo Gold Rush. Letters provide insight into the effect of the Cariboo Gold Rush on trade and commerce in Victoria at the time. Topics covered in the letters include ordering goods; remitting cash, gold and drafts; advising of market prices; conditions in the mines of Victoria and Puget Sound; providing news of latest gold discoveries, shipping activity, finances, and mergers or dissolutions; business alliances; establishing express services; arrival of the first telegraph; et al. 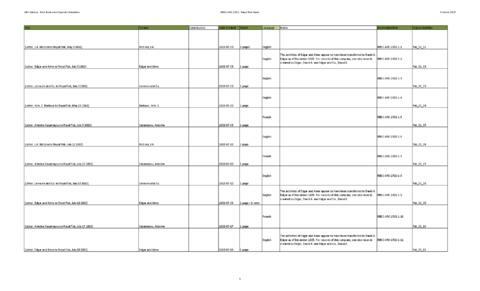 File list available - see attached PDF. Description created by Ashlynn Prasad in September 2017.